What could local governments do with an extra $100 million? They could hire more police officers, build trails, fix up parks, offer programs for seniors and more. But municipalities are already squeezed by the downward trend in state funding and have few options for raising revenue. The $100 million figure is not a random number, by the way. That’s the amount of revenue the Michigan Association of Counties (MAC) says the state’s cities, townships and other municipalities have lost from 2013 to 2016. The culprit is so-called “big box” retailers that set up shop in their communities, but then seek to lower their assessed property taxes. Companies like Walmart, Target, Lowe’s and even Michigan’s own Meijer have turned toward the “dark store” theory of property tax assessment. The practice allows the chains to appeal their property taxes from municipalities to the politically appointed, somewhat obscure Michigan Tax Tribunal, which, in recent years, has sided with retailers. Those who seek to change the law disagree, saying that property should be assessed by three metrics: the cost to build the facility, comparable sales and potential income generation. Some lawmakers are concerned that many such properties have deed restrictions attached to them, further limiting their use should the store move or go out of business. That’s why House Bill 4025 was introduced this month by state Rep. Beau LaFave (R-Iron Mountain). “Your community is left with a building that has very little ability to be reused,” said state Rep. Julie Brixie (D-Meridian Twp. ), a former township treasurer a co-sponsor of the bipartisan legislation aimed at curbing the practice. Brixie has also introduced a companion bill to LaFave’s, HB 4047. Meanwhile, Senate Bills 26 and 39, both sponsored by Sen. Ed McBroom (R-Vulcan), aim to curb the dark store practice. The total cost to Michigan’s municipalities of refunding the store’s lower property tax assessments is unclear. But the MAC’s data from between 2013 and 2016 puts it in excess of $100 million. In 2015, two municipalities in the Upper Peninsula had to shell out nearly $1 million to big box stores which had successfully appealed their assessments, according to reports. Communities around the state, already facing diminished bank accounts due to ongoing cuts to funding from the state, known as revenue sharing, are taking notice. 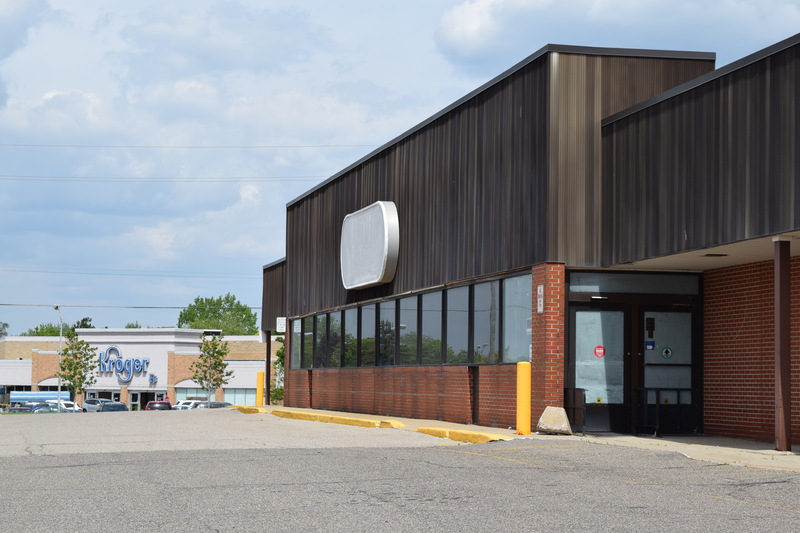 “A Dark Store is not a weapon Darth Vader used in Star Wars, but it’s beginning to loom over many municipalities like the menacing Death Star,” said Steve Cohen, director of community development for the city of Auburn Hills. The push by legislators for halting the dark store methodology of tax assessment makes for a renewed effort. Bills in past sessions have failed to pass, despite enjoying similar broad support. The practice of dark store property assessments also appears to be spreading across Lake Michigan. Earlier this month the New York Times reported on the “virus” of stores in Wauwatosa, Wis,. in suburban Milwaukee appealing property tax assessments. While there have been been multiple legislative attempts to curb the dark store practice in recent years, Brixie said that with the broad, bipartisan coalition, she’s “optimistic” it will happen this term. Despite the broad support for a legislative fix, retail industry stakeholders remain skeptical. The Michigan Retailers Association is actively fighting the legislation, said Amy Drumm, the industry group’s vice president of government affairs. “I think we have a fundamental disagreement about what’s happening,” Drumm told the Advance, adding that she believes retailers for years were over-assessed and are now “exercising their fair right” to appeal those assessments. “We think at the end of the day, the problem isn’t really on the retail side of things or on the actual value side of things, but the fact that local governments are strapped for cash and are looking for ways to bring in more money,” Drumm said. Municipal leaders, however, couldn’t disagree more. In 2015, two members of the Oshtemo Township Board of Trustees penned an opinion piece detailing how Costco appealed its assessment of a new store near Kalamazoo. The chain claimed that its store was worth less than what the company paid for the previously vacant land on which it was built, even after building a $12 million store. Brixie told the Advance about a case when she was a local treasurer. There is a Meijer store in Meridian Township, otherwise known as Okemos, that completed a large renovation and then appealed its next assessment. The successful appeal cost the Okemos School District more than $130,000, according to reports. Retailers say the practice of appealing taxes is simply a way of continuing to offer affordable products for consumers. “Our primary focus is to keep prices as low as possible for our customers and one of the ways we do that is to ensure we pay a fair and equitable amount of property tax,” Frank Guglielmi, Meijer’s senior director of corporate communications, told the Advance in an email. Brixie said she appreciates the services that the large retailers offer to a community like Okemos, but they need to contribute to services they use, like police and fire departments. She also said she believes that the tax code favors large companies. This is a specious argument. The underlying message is, we, Meijer’s, demand the municipality give us a competitive advantage over our competitors. It is amazing that anyone would fall for such nonsense. It makes me wonder if any of the folks granting huge breaks to the biggest and wealthiest were given any additional incentive. This whole thing stinks.